I put an electric 46# thrust electric motor on my W700, which gives me just under 4 knots speed. 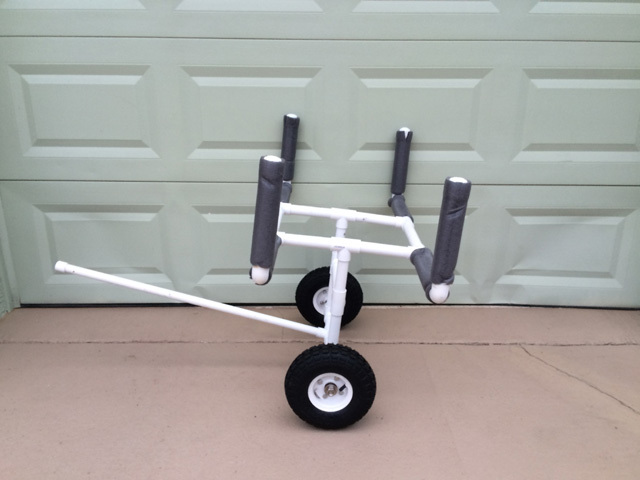 Perfect for the short distance backwater fishing I do. Went a total of 14 knots the other day (measured by iPhone app Navionics which can give you speed, route, and total distance of trip), This was an extra long trip for me through the narrow backwater channels. The W700 performed like a charm. 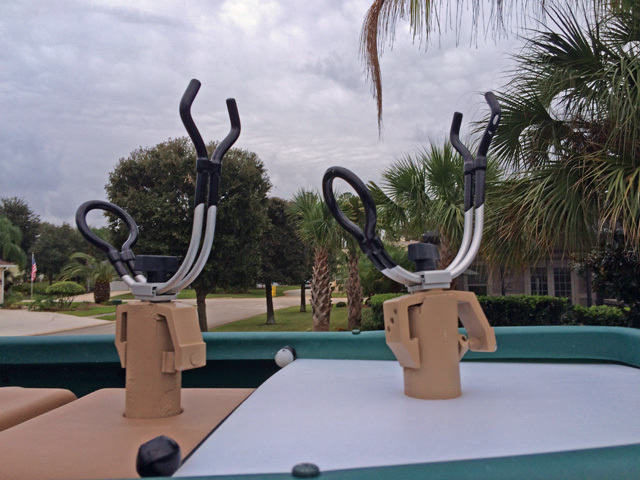 Designed some aids that makes the W700 easier to move around on dry land and load. 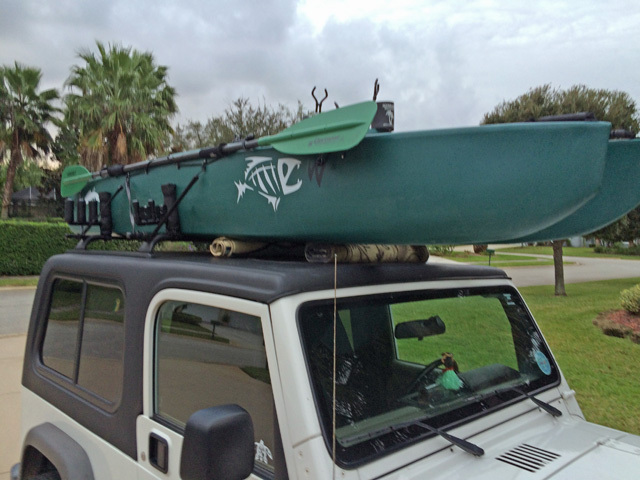 One is a two wheel apparatus that allows me to easy take the kayak from my Jeep to my garage where I store the W700 (see attached photo). 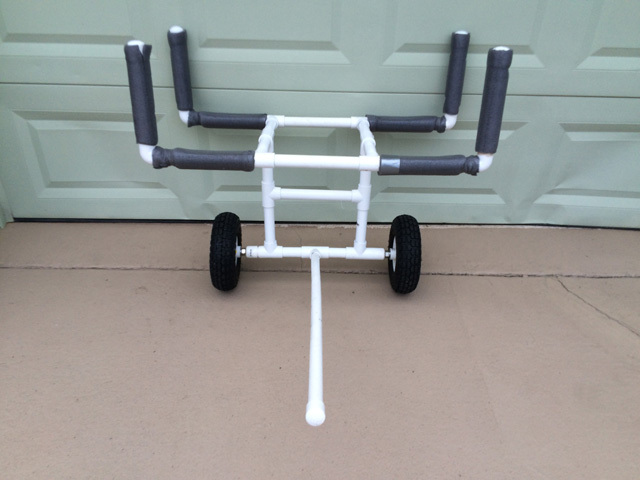 Could also be used if had a long distance from Jeep to water’s edge, but have not needed to use this as can drive the Jeep right up to the water. 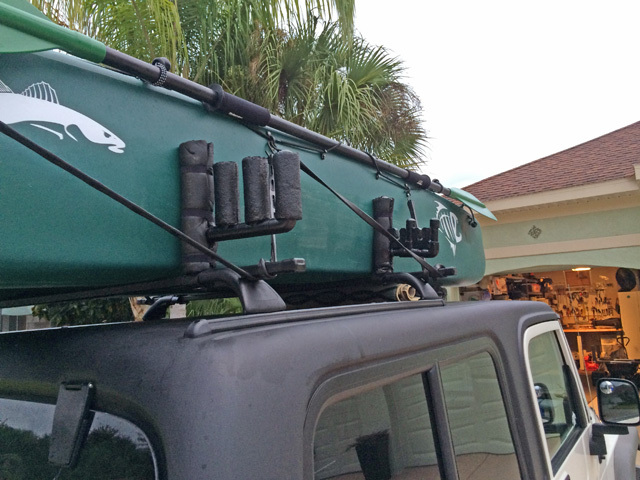 Also designed a “Catyak” (Catamaran Kayak) roof rack that enables the W700 to sit on top on my Jeep without sliding side to side (photos attached). Only need simple ties for forward an back. 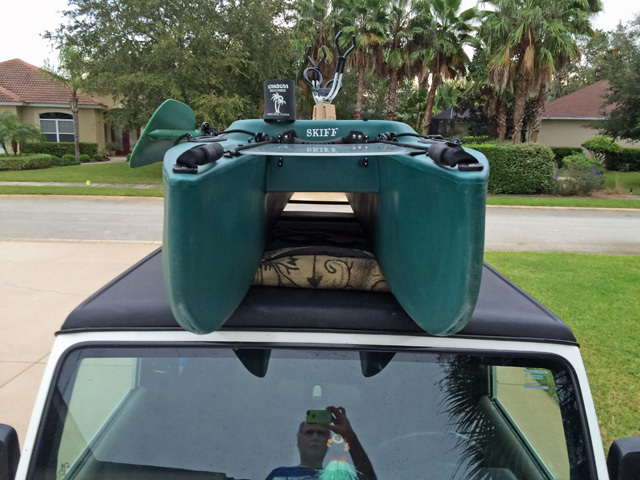 Load the kayak from the front end of the Jeep, using the hood as a “stepping stone”. Lay down little throw rugs on the hood and top of Jeep which enables me to simply push the W700 up the “ramp” sitting squarely on the Jeep’s modified roof rack. Can load and unload the Kayak in couple minutes without much effort. Overall, having a great time customizing “Bonefish” and catching lots of Reds and Snook in the process. Nicely done! I like the platform up front, I will be looking into something like that when I get back to fishing mode.